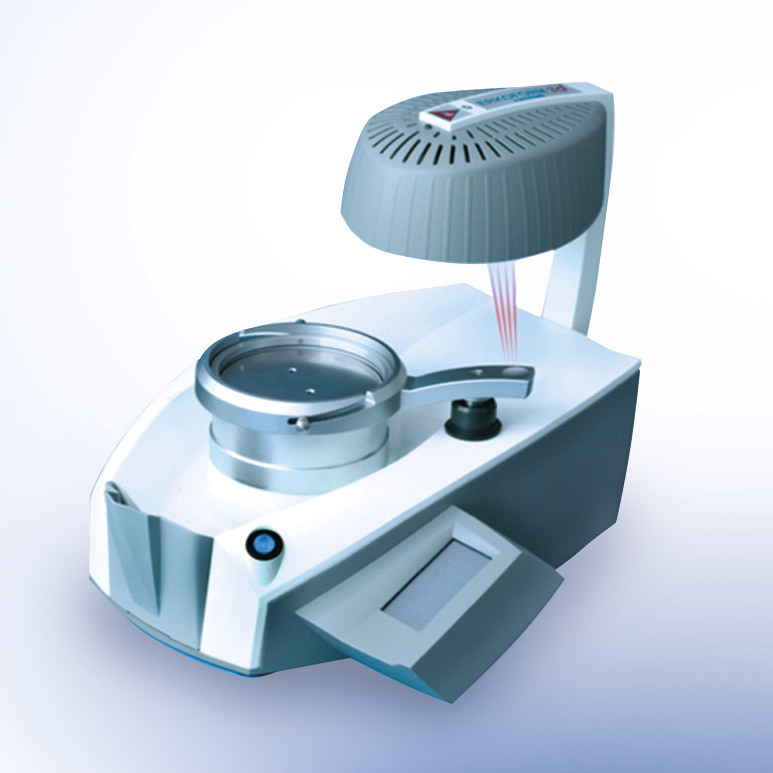 Thermal vacuum mold equipment is used for the decentralised manufacture of mouth guards for teeth. A special film is heated for this and drawn into a shape using a vacuum. The temperature is measured without contact using thermoMETER CS so that the film has the correct temperature and elasticity for the reshaping. The measurement is performed quickly, precisely and without effects on the target.